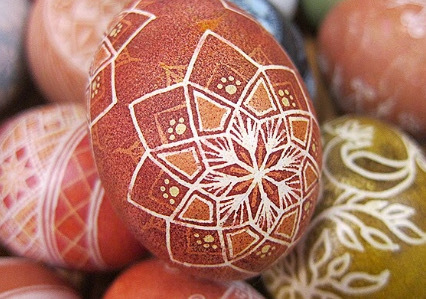 Learn the ancient art of Egg decorating: a sacred and meditative practice created for mythical and religious ceremonies since early pagan times. Using the beeswax-resist “batik” method and all natural dye baths, participants will draw and drip the wax, producing layers of meaning, imbued with symbols of protection and goodwill. Once the wax is removed, the egg is ready to display as a welcome to Spring and a blessing of prosperity and health! all ages (5 – 14 with adult) | $50 | 20 max. Participants take home: a page of designs and instructions plus finished egg decorated with natural dyes to celebrate Spring.